Scientists are concerned about the human and environmental health impacts of the U.S. Environmental Protection Agency (EPA) recent decision to loosen regulations on toxic air pollutants. The Clean Air Act Amendments of 1990 (CAAA) require major sources of hazardous air pollutants (HAP), or those pollutants suspected or known to cause cancer or other serious health effects, to use evidence-based pollution-control technologies to keep pollution below federal limits. These evidence-based pollution control technologies are also known as maximum achievable control technologies (MACT). Major sources are defined by the EPA as those facilities that emit more than 10 tons of any one HAP per year or more than 25 tons of a combination of HAP per year. Since then, the EPA has enforced the “once in, always in” policy, meaning that those sources that were regulated by the administration as “major sources,” would always be regulated by the administration under that classification. Until now. In late January, Scott Pruitt’s EPA rolled back the “once in, always in” policy, thereby allowing major sources to become reclassified as “area source” polluters if they can show that they are emitting toxic air pollutants below the program’s threshold. If these sources are successfully reclassified, they will not be required to use MACT, which will likely make their emission reduction efforts less successful. To boot, hazardous air pollutants regulated by MACT measures include formaldehyde, chlorine and hydrochloric acid, none of which are safe for human inhalation, even in very small amounts. The Union of Concerned Scientists, an independent research organization, created an interactive map to help U.S. citizens predict which parts of the country are most likely to be adversely impacted by the policy change. Scientists estimate that a minimum of 21 states will see more hazardous air pollution following the change. Low-income areas and communities of color are likely to suffer the most as a result. Their research predicts that 35 out of 41 facilities in Chicago could increase HAP emissions. Health effects associated with HAP emissions include cancer and respiratory illness, among others. Users can view the likelihood that this policy change will affect air quality in their region using the interactive map provided here. U.S. Environmental Protection Agency has developed a Climate Resilience Screening Index (CRSI) and determined the expected resiliency of each county as the climate continues to change, making floods, droughts and wildfires more common. 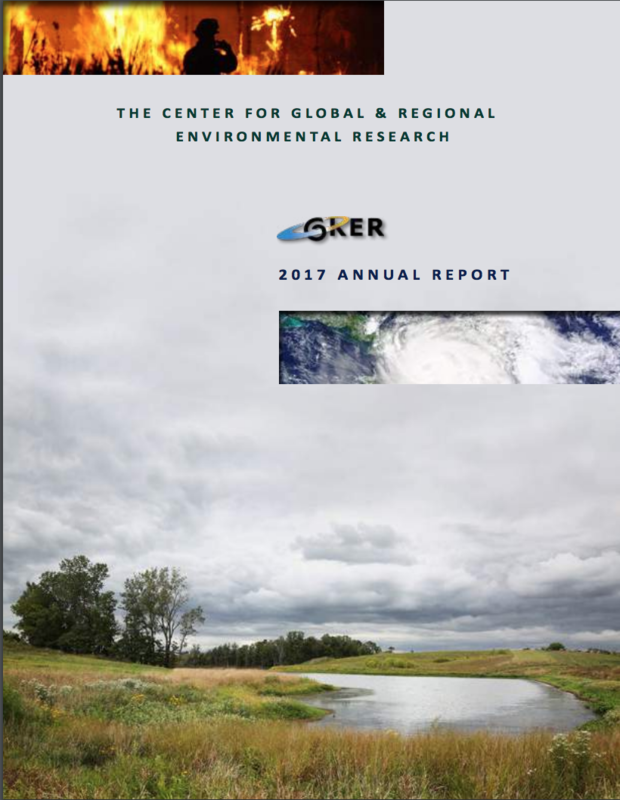 The report was released in October and used 117 measurements to figure each county’s severe weather risk, governance, society, built environment, and natural environment into an overall resiliency score. Fortunately, researchers found that many U.S. counties have moderate to strong likelihood of bouncing back following a natural disaster however, the outlook varies. The Appalachians, many counties in the southeast and the western Midwest and some counties in southwestern Texas were found to have lower resiliency scores. The factors that decrease a region’s resiliency in the face of climate disaster include limited access to internet and radio to communicate during an emergency, insufficient infrastructure for evacuation and the absence of local construction industries to rebuild afterward. Southeastern states including Alabama, Florida, Georgia, Mississippi, North Carolina, South Carolina, and Tennessee scored the lowest collectively in the U.S.
Those counties with higher social cohesion, levels of education and natural resource conservation are predicted to fare much better. The Pacific Northwest was determined most resilient to the changing climate, with region one of the U.S., including Connecticut, Maine, New Hampshire, Vermont, Massachusetts and Rhode Island following close behind. The report’s authors suggest that index’s information be used to determine where climate mitigation resources are allocated in the future. However, it is unlikely that the current administration will use the information to inform any real climate policy. The executive summary and full report can be found here. President Donald Trump plans to cut U.S. Environmental Protection Agency funding by 31 percent according to his budget plan released Thursday. While funding will be slashed for climate change research and Superfund site reclamation, some EPA programs will be eliminated all together. Among them are urban air quality improvement efforts, infrastructure projects on Native American reservations, energy efficiency improvement programs and water quality improvement work in the Great Lakes and Chesapeake Bay. President Trump’s Office of Management and Budget Director Mick Mulvaney said, “Regarding the question as to climate change, I think the President was fairly straightforward. We’re not spending money on that anymore. We consider that to be a waste of your money to go out and do that.’ So that is a specific tie to his campaign.” More than 97 percent of climate scientists agree that climate warming over the last century are due to human activity, according to NASA. President Trump’s budget outline still must be approved by Congress and is expected to change. The Administration’s final budget will be released in May. Residents of Flint, Michigan are suing the U.S. Environmental Protection Agency (EPA) for allegedly mishandling the city’s lead contamination issue. The more than 1,700 citizen are seeking $722 million dollars in damages. The plaintiffs argue that the EPA “failed to follow several specific agency mandates and directives” and neglected to determine whether local and state officials were immediately taking steps to address the issue. According to the EPA’s own website, lead contamination of drinking water can cause behavior and learning problems, lower IQ and hyperactivity, slowed growth, hearing problems and anemia among children. Lead from drinking water can also pass through the placenta resulting in reduced growth of the fetus and premature birth. The city of Flint, population of 100,000, switched its water source from Lake Huron to the Flint River in 2014, causing lead to leach from the city’s old pipes. A year later, children from Flint were found to have high levels of lead in their blood samples. Researchers from Virginia Tech University concluded that 40 percent of the homes in the predominantly African American city had drinking water that exceeded federal safety limits in September of 2015. On January 24, 2017, the Michigan Department of Environmental Quality announced that the city’s drinking water tested below the federal limit. Ninety percent of the samples taken contained lead levels of 12 parts per billion or less, well below the federal limit of 15 parts per billion. Still, public health officials recommend that residents continue to use filtered water for cooking and drinking as the city continues to replace its pipes. This class-action lawsuit follows Michigan Attorney General Bill Schuette’s felony charges against four government officials involved in the public health crisis. In all, 13 current and former government officials have been held accountable for the contamination of Flint’s water. Two Iowa-based businesses and one school district were recognized by the U.S. Environmental Protection Agency Tuesday for energy efficiency in Region 7. 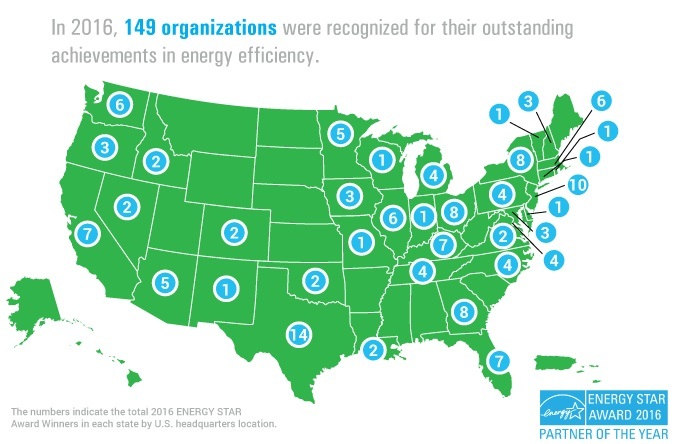 Pella Corporation – a window and door manufacturer based in Pella, Iowa – was one of eight businesses nationwide recognized as a 2016 Energy Star Partner of the Year for Outstanding Achievements in Energy Efficiency. The company is being recognized for manufacturing Energy Star certified products. Additionally, Pella Corporation has partnered with Lawrence Berkeley National Labs – based at the University of California-Berkeley – for developing automated shading technology. The company also sponsored the 2015 Solar Decathlon Education Days to teach students about energy efficiency and renewable energy. Principal Real Estate Investors was recognized by EPA as a Partner of the Year for Energy Management. The Des Moines-based company was selected for its efforts which reduced energy consumption by 1.8 percent and for achieving 2015 Energy Star certification at 65 buildings, including 60 re-certifications. Principal also received an “A” rating on the United Nations Principles of Responsible Investing annual survey. Des Moines Public Schools (DMPS) was recognized as an Energy Star Partner of the Year in Sustained Excellence for energy efficient facilities and educational efforts. Three new DMPS buildings achieved Energy Star status in 2015, bringing the grand total of Energy Star-certified buildings district-wide to 49. DMPS has saved more than $2 million since first implementing its energy management approach in 2008. DMPS is the largest school district in Iowa, serving more than 32,000 students. Principal and DMPS were both honored as part of a joint effort between EPA and the U.S. Department of Energy. Awards will be presented to recipients during a ceremony in Washington D.C. on April 13. The U.S. Environmental Protection Agency (EPA) is teaming up with religious groups of all faiths to redirect food on to the plates of the hungry as opposed to landfills. EPA unveiled the Food Steward’s Pledge on Monday. Not only would this initiative help to feed the hungry but it would also reduce the amount of organic waste in landfills which contribute to greenhouse gas emissions. Data from the U.S. Department of Agriculture (USDA) show that in 2013, 14.3 percent of households in the U.S. did not have regular access to enough food for an active and healthy lifestyle. Additionally , the United State Environmental Programme estimates that 870 million malnourished people worldwide could be fed by wasted food. More than 1200 calories of food is wasted per person per day in the U.S. which amounts to roughly $1,600 per year for a family of four. 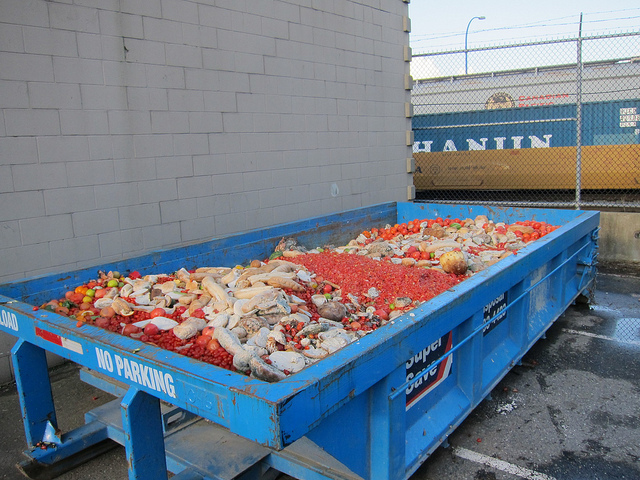 This initiative is part of a bigger plan by EPA and USDA to cut food waste in half by 2030. To sign the Food Steward’s Pledge, click here. The U.S. Environmental Protection Agency announced Monday that two Iowa school districts will receive $60,000 to retrofit or replace school buses with more fuel efficient models. The IKM-Manning Community School District in Manning, Iowa will receive $40,000 for two buses while the Sioux City Community School District will receive $20,000 for one bus. This funding is part of a $7 million nationwide project to replace and retrofit 400 inefficient dispersal school buses through EPA’s Diesel Emissions Reduction Act (DERA) funding. The new and retrofitted buses are expected to reduce nitrous oxide and particulate matter emissions which can contribute to health complications such as asthma and lung damage. DERA has provided funding for more than 650 clean diesel projects across the country which has led to emissions reductions in more than 60,000 engines since 2008. 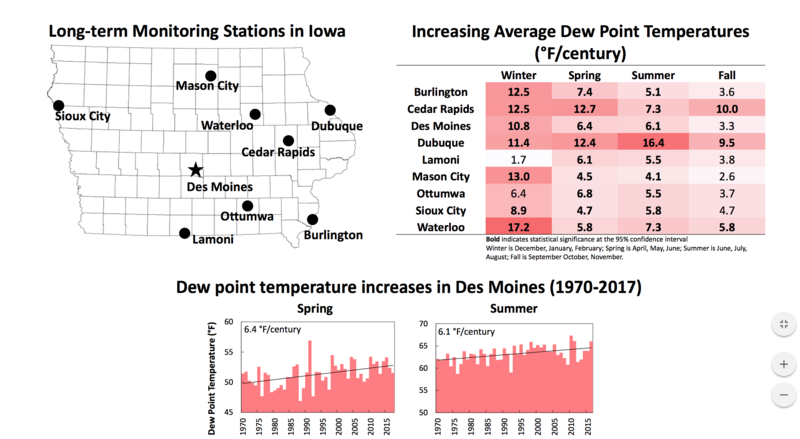 In 2012, seven Iowa school districts received more than $280,000 to improve fuel efficiency as part of a joint project between EPA and the Department of Natural Resources. School buses travel approximately four billion miles each year and provide transportation for more than 25 million American school children each day, according to EPA data.